WARNING: This post contains some distressing images and content. 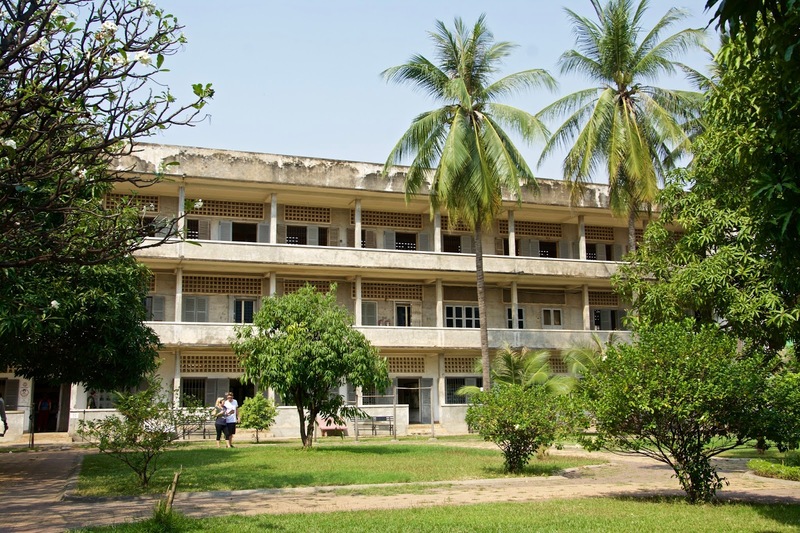 A lot of people will come to Phnom Penh with a visit to the Toul Sleng Genocide Museum (also called S-21) and the Choeung Ek Killing Fields on the top of their itineraries. As I explored Phnom Penh more, this is really the only thing Phnom Penh has to offer, apart from the occasional museums and landmarks if you have an interested in them. 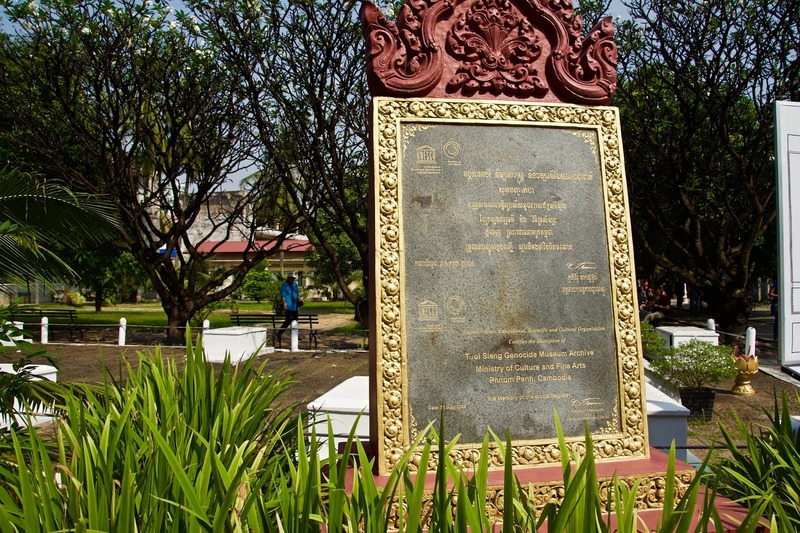 These two sites link the horrifying period of the Khmer Rouge Regime where about 1 million people were tortured and executed. The pain and horror the people of Cambodia went through, and still do as they are reminded of it, is something I will never be able to fully understand but just experiencing these two places were enough to give me the shivers. It is also quite unbelievable that this was only happening 40 odd years ago. To this day, there are only a few survivors, some who share their scarring stories to tourists. We arrived at the museum first and immediately had a very quiet and sad atmosphere. It is recommended to get an audio guide which takes you through each stage of the museum and has some special stories along the way from different aspects of the prison life. The museum used to be a high school which was then turned into a prison where people were brought to and tortured, suffering in the most terrifying ways. It is said that only 12 were to survive in the prison. The prisoners were of all kind, from men and women to children and elderlies. Some foreigners also were captured and sadly executed. The prisoners were taken from S-21 to the killing fields at Choeung Ek where they were executed and buried. 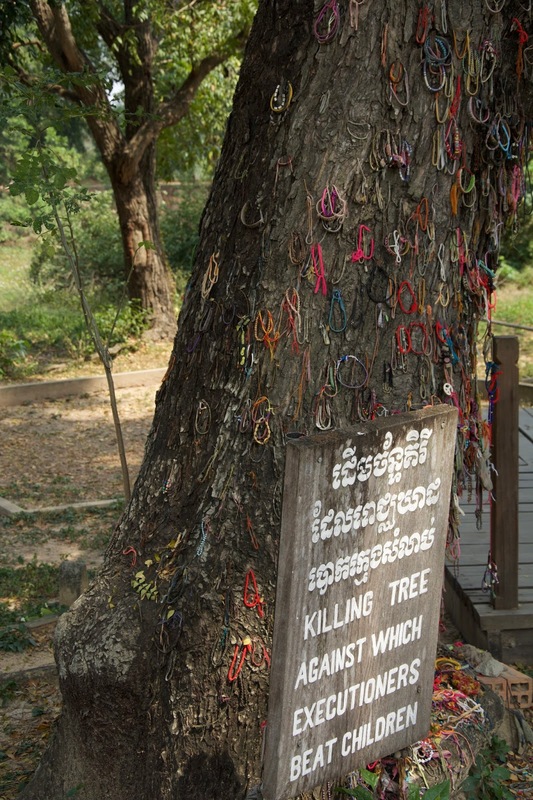 The killing fields was a local Chinese cemetery before it was taken over by the Khmer Rouge. 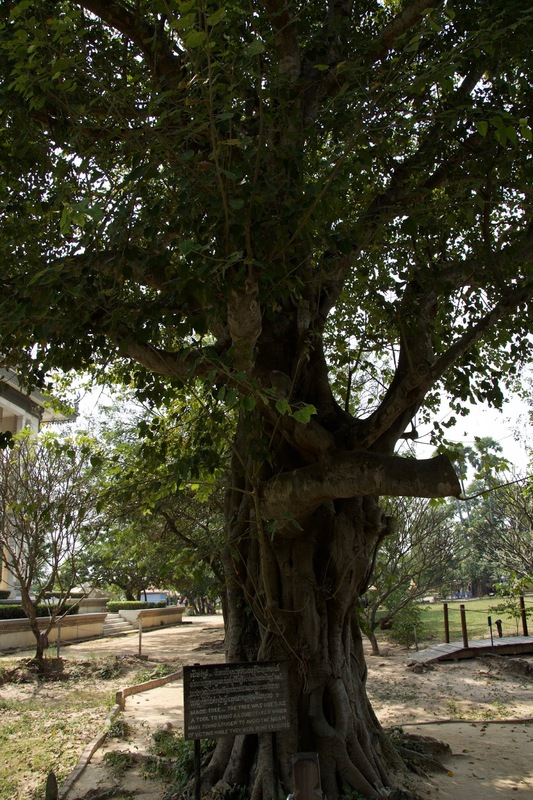 As prisoners were being transferred to the killing fields, the executors would tell the people they were being taken to a new home. About 30 minute away from the prison, they were taken to the killing fields where they were brutally beaten and killed. One of the nicer looking buildings of the S-21. Each level represented different kind of cells and rooms. 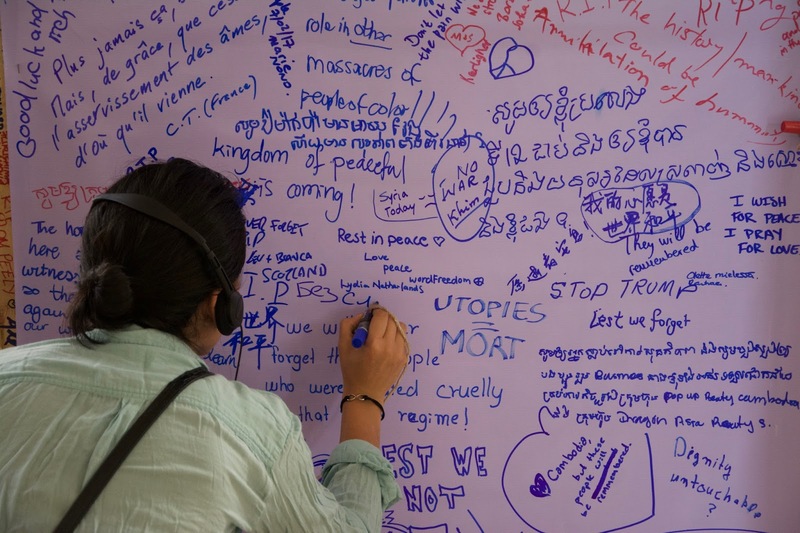 A whiteboard was placed in one of the buildings for locals and tourists to write their prayers and messages on. This was probably one of the hardest scenes through the killing fields, where the women and children were killed and buried. A tree by the memorial is decorated by locals to send their prayers and love. This tree was used as a wall to beat the children against. Just beyond this memorial is a tree which was used to hang a loud speaker which would drown out the sound of the moaning and screaming as the people were being tortured and killed. 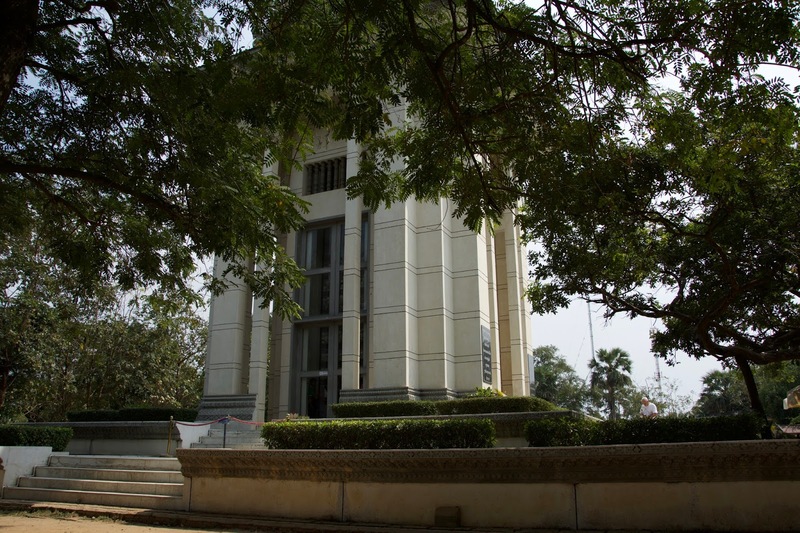 There was a tall building which was a small museum in the centre of the killing fields which had thousands of skulls of the people that were killed here, each giving the information of how they were killed. I am sorry for the very emotional and upsetting post but as I was learning about this, I was questioning why I didn’t know about this before. It is very sad that something, just as bad as Auschwitz, isn’t talked about or taught AT ALL outside of Cambodia. It was very interesting learning about this period but very distressing hearing about some of the activities that went on. If you ever go to Phnom Penh, make sure you add this to your list of things to do. Yes, it is very emotional, but it is also a very important part of history which we should all know about. We did the Museum first and then the killing fields which I think was the right decision and I suggest to do it in that order. You can hire a tuk tuk for $15-$20 for the day and they will take you to both sites and back to your hotel afterwards. They both cost $6 for entry including an audio guide ($3 without an audio guide). I suggest getting the audio guides for both sites as you hear exclusive stories from survivors and detailed information about the whole historic tragedy (and also there are not many signs of information telling you what is what); definitely worth it! Have you had a visit to either or both of these? How did you feel about them? 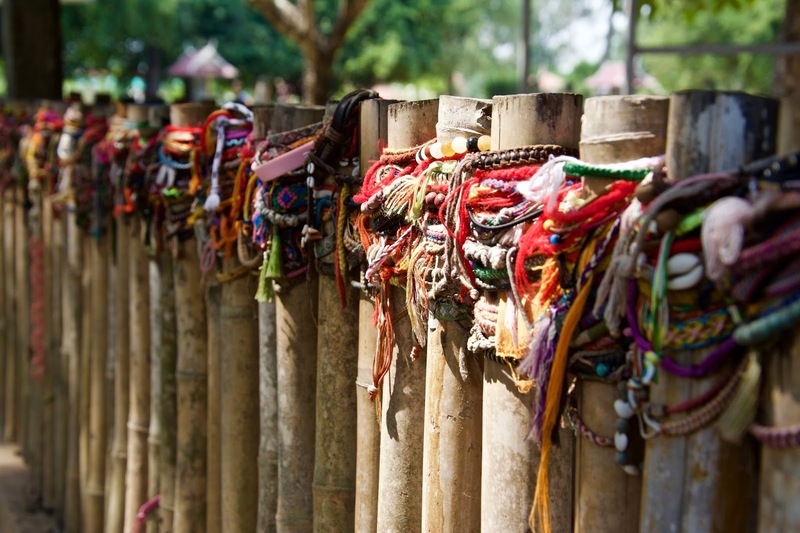 "My Favourite Day – With Mandalao Tours || Laos"
"A Change of Plan || Bali"